Each day, on Facebook, the NRA National Firearms Museum showcases something special from the Museum collections. 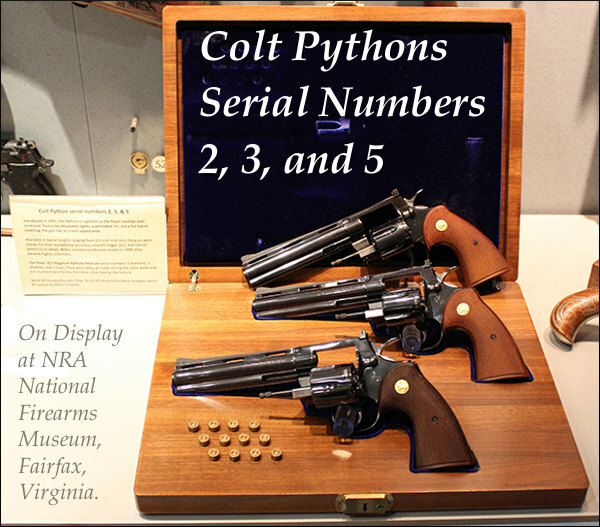 A while back the Museum displayed a trio of snakes — three very special Colt Pythons. From bottom to top, these three prized wheelguns are: Colt Python serial number 2, number 3, and number 5. And yes, that is the original box for Python #2 (at bottom). The museum says such low serial number guns were typically produced for a company executive or key members of the gun design team. You can see hundreds of other interesting firearms on the National Firearm Museum website, www.NRAMuseum.com. Or, if you’re lucky, you can see the collections in person. The NRA now operates three Museum locations: the NRA National Firearms Museum in Fairfax, Virginia; the NRA National Sporting Arms Museum (at BassPro) in Springfield, MO; and the Frank Brownell Museum of the Southwest in Raton, NM. 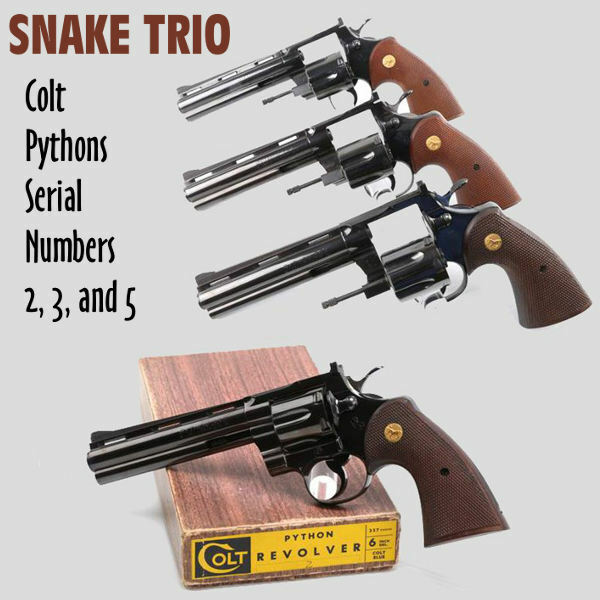 Share the post "Wheelgun Wow Factor — Colt Pythons Numbers 2, 3, and 5"
That $125 is roughly $1,200 in todays dollars. I don’t think that Colt (or anyone) could build a revolver of that quality for that price now. 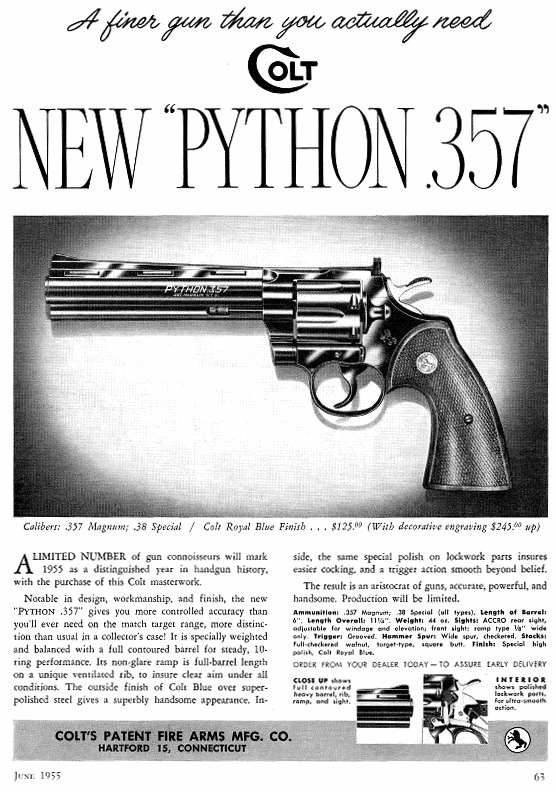 If the 1955 base Python ($125) brought 4,000 now, that is only 32 times price, or 3,200%, which would be knocked down by inflation. This is still great but less than 1/4 of the museum’s appreciation estimate for Pythons of over 14,000%.